The Single Tap Kegbot Kit contains the hardware you need to monitor a single beverage tap. The brains of the operation, the Kegboard Pro Mini is our custom sensor board, based on the popular Arduino microcontroller platform. 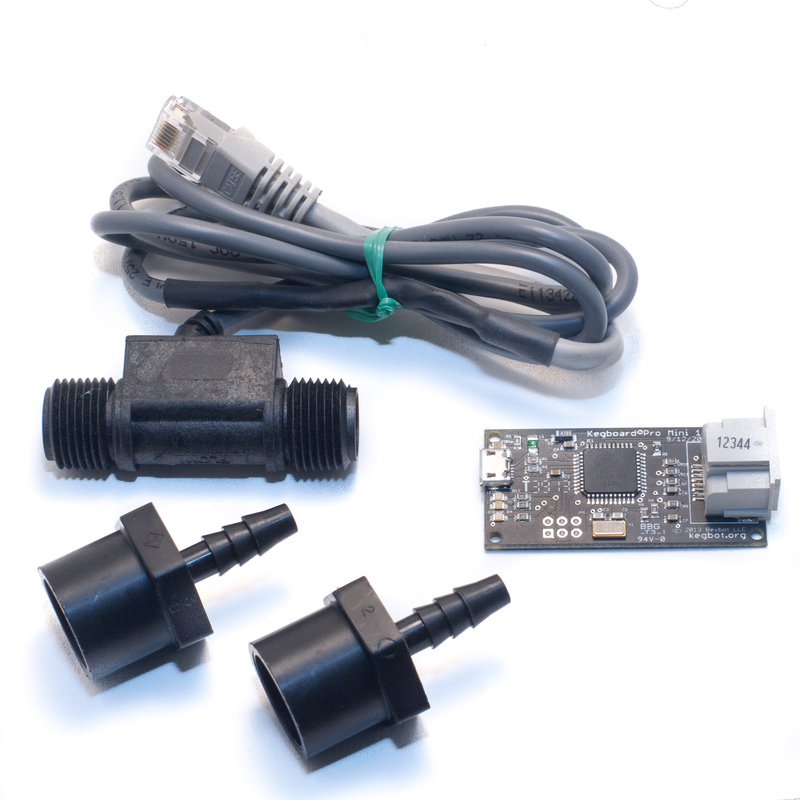 A flexible and food safe flow meter, the FT330-RJ connects directly to the Kegboard Pro Mini with an RJ-45 connector. The kit also contains a micro USB cable, as well as barbed fittings to get you up and running quickly. 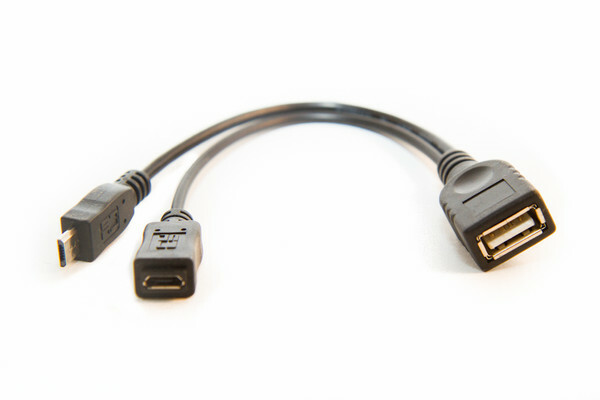 If your tablet has a micro-USB port and a separate dedicated power supply, the USB OTG Connector is required to make final tablet / Kegboard connection. 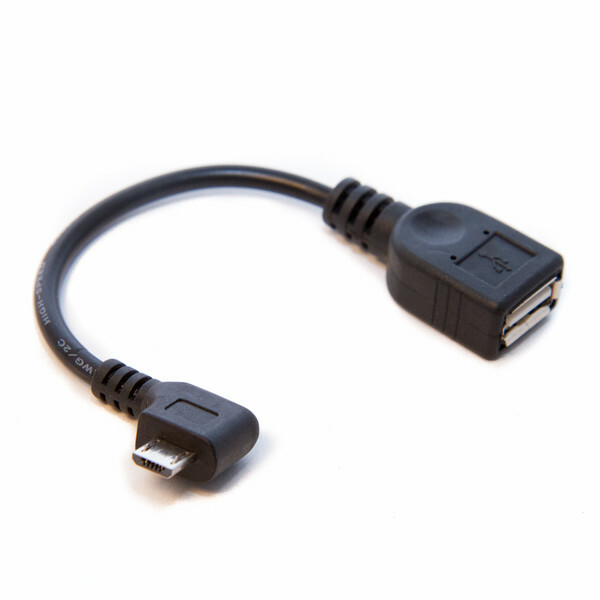 If your tablet has a micro-USB port that splits duty between powering the tablet and connecting peripherals, the USB OTG & Power "Y" Connector is required to make final tablet / Kegboard connection.